A lesson in being careful what you wish for. By 1973 Ford’s Pony car had become an oversized, overweight shadow of its former self. So, the following year… Ta-Da! 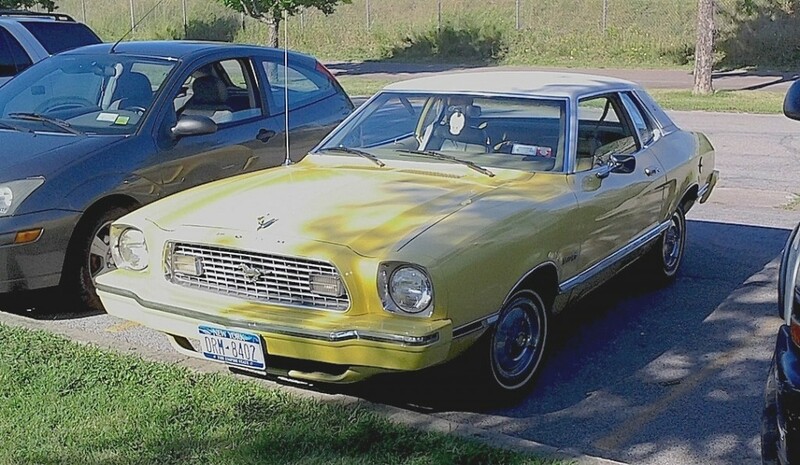 The Pinto-based 1974 Mustang II made its debut. This well-preserved yellow example, seen over the weekend in Tonawanda, is the ritzy Ghia model. Sales were up quite a bit from 1973, but the Mustang available with only four- or six-cylinder engines? Horrors! By ’75 the 302 V-8 was an option; and by ’79 the Mustang dropped the Roman numerals from its name and grew back to a more respectable Pony car size. Jim Corbran, RRofWNY …and check out our Facebook page: Un-American Classic Cars The post RealRides of WNY appeared first on Buffalo Cars.